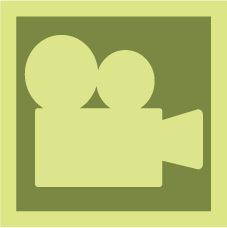 Contact Matt at Editing Life Videography; Buerhaus Design, LLC here! If you're having an event that needs filming, from weddings, birthdays, lectures, TV commercials, web videos or anything you can think of that could be filmed, we can help! By filling out this information, Matt will be able to assess your needs and let you know if we're available to film for you. If you heard about us from a friend, another vendor or 'other', please indicate who that was here! If you have anything else you'd like to let us know about (event details, questions about our services, etc. ), please enter them here! After submittal, you should receive an email from Matt within 24 hours. Be sure to check your junk and/or spam folders after that time if you haven't heard anything by that time. We will send you a message, even if we're not available. So if you don't hear from Matt within 24 hours, please feel free to email or call us directly! matt@editinglife.com or 410-459-1273.